Caption - Taiwan Railways Class CT160 2-6-0 CT194 heads southeast from the mainline at Ershui with a branch freight to Chechung in February 1978. Forty-two of these useful locos were built in Japan for Taiwan. 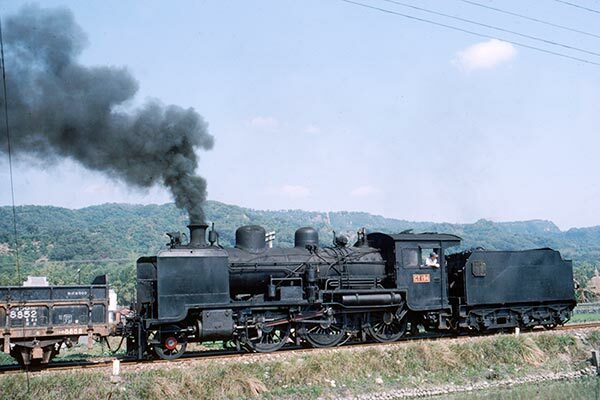 In Japan where the class was very numerous, these 2-6-0s were 8620 class.